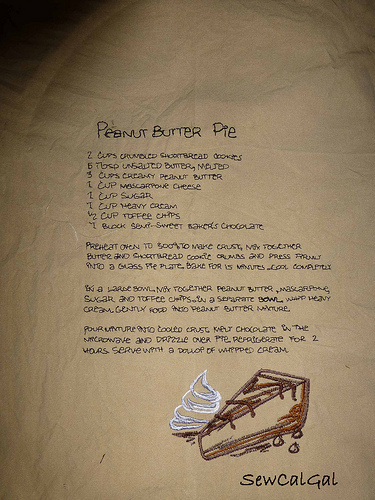 When Julie offered to do a guest post for IHAN® I went over to her website and saw she had some great tutorials. There are so many people that I know who are expecting grandchildren soon that I thought this tutorial would be a great one to share. I am very thrilled this week to be a guest blogger here at I Have a Notion®. (Thanks, Kelly!) 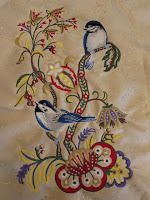 My name is Julie and I have a blog as well with a slightly different focus: machine embroidery and applique. You can check it out at Machine Embroidery Geek. 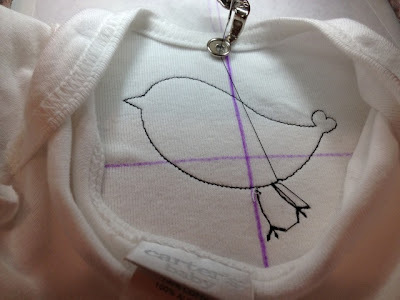 Today I am going to show you how to make a cute little applique baby onesie with a little chick design. I have done a bit of applique on baby onesies in the past, and while it is a bit challenging to stitch within such a tight space, it's actually not as difficult as you might think. For this project, I was inspired by the piece of fabric I purchased the other day. 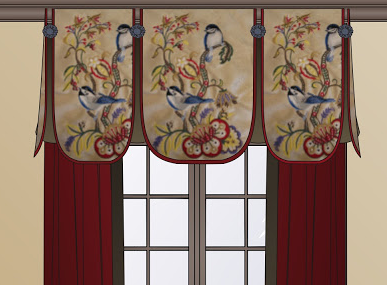 The fabric has a dainty little chick footprint design on it. I thought it would be cute to digitize a little chick applique and then use the chick footprint as the appliqué fabric. I begin the applique process by stabilizing the design area with an iron-on cut-away stabilizer fused to the inside of the garment. 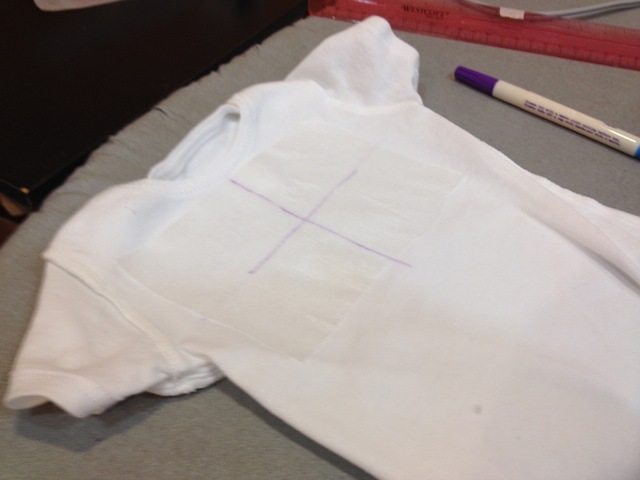 Next I mark where the center of the design should land on both the inside and the outside of the onesie. Next, I hoop a piece of sticky back stabilizer, scour around the edges with a pin to remove the peel away paper and mark the center of the hoop on the exposed, sticky stabilizer. Then I turn the onesie inside-out and stick it onto the exposed sticky-back stabilizer, lining up the center point on the inside of the onesie to the center of the hoop marked on the exposed sticky-back stabilizer. Now it's time to start stitching. The first layer of stitching forms the chick's legs and then the placement line for the appliqué piece. When the machine pauses I lay down the applique fabric piece over the placement line that has been stitched out. I don't spray any adhesive onto the onesie, I simply lay that applique fabric that has been fused to a piece of Heat-and-Bond Lite (Kelly would use Mistyfuse to keep the onsie soft) onto the front of the onesie over the placement line. The next layer of stitching tacks down the appliqué piece to the onesie. When this is complete, I remove the hoop from the machine and with appliqué scissors, trim the appliqué fabric as close as possible to the tack down line without (of course) cutting a hole in the onesie. Once the hoop is put back on the machine, I start the next round of stitching which puts the final satin stitching around the chick shape and creates a little eye for the chick. One important note... when I am embroidering on any type of knit fabric, I am sure to use a needle that is suitable for stitching on knits. Needles designed to work with knits do not pierce the fabric, but instead push their way through the voids within the knit. So make sure you are working with an appropriate needle before starting any stitching on a baby onesie. I hope you like this and it is helpful for those of you who want to make stylish onesies for babies. 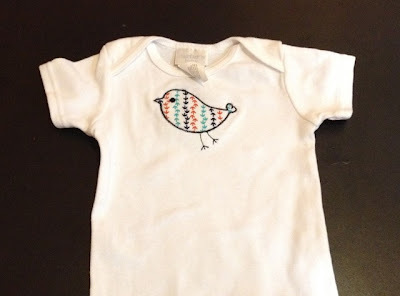 If you are interested in the chick design, please contact me though my blog: Machine Embroidery Geek . THANK YOU JULIE for the excellent tutorial! Sheila poses with four charity quilts she made, all strip-pieced. I’ve been sewing since I was a little girl, but only quilting about nine years now. 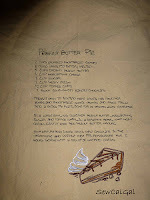 I absolutely LOVE sewing quilts, and churn them out like crazy. But I admit that, while I say I love quilting, I don’t really love the quilting part of the process. As a matter of fact, there’s quite a bit I don’t enjoy: pin-basting, applique, hand quilting, and hand sewing on binding. But sit me at a sewing machine and let me sew bits of fabric together into quilt tops, and I’m in heaven. The speedy arrowhead pattern is a quick and easy design for a quilt. So I was thinking about this recently, and realized that all the things I don’t enjoy about making a quilt are the parts that take a really long time. I want to be quick and efficient. I sew most of my bindings down by machine now, hire longarmers to quilt my quilt whenever I can justify the expense, and enjoy starting a quilt with orphan blocks so it will go together quicker. If there’s a shortcut, I’ll take it. Plenty of quilters like me have discovered wonderful timesaving techniques, like chain-sewing, fast-flying-geese methods, ways to sew blocks or borders with a minimum of pinning, etc. 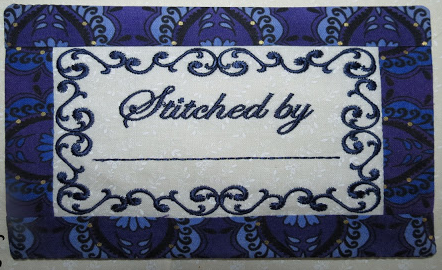 We can buy kits where the pattern and fabric are all pre-chosen for us…. imagine that! Then there’s the whole world of precut fabrics….strips, squares and triangles, and more…. already cut for me! Sheila's orphan block quilt....I just appliqued them down on background fabric. But fabric manufacturers didn’t come up with these timesavers just for ME….no, lots of busy, working people of today appreciate the convenience of buying fabric pieces all ready to sew together. Kelly sells lots of time-saving notions on her website I Have A Notion (hint, hint!) to speed up the process, including those nifty machines that even do the cutting for us with dies! Here's a quilt-as-you-go I made, using my scraps. What really got me thinking is, if we all love making quilts so much, why don’t we just slow down and enjoy the process? The whole concept of making a quilt is cutting up fabric and sewing it back together into something beautiful, warm and cozy. Why does it have to be fast? Is my life really better because I use the leader/ender method when machine piecing to have my next quilt already begun? Choosing a quilt pattern that sews together really fast might not be my best choice. Was my goal really to finish three quilts last month? Or would TWO have been enough if I didn’t shortcut my way through them?? This one was made with strip-piecing, for my granddaughter on her first birthday. It was the THIRD quilt I have made for the baby: baby quilt, crawling quilt, and first birthday present! Using notions that save time (which I Have a Notion has lots of) is a wonderful thing, so we should embrace them. But let’s slow down and as they say, smell the roses. I will make a special effort to put my personal touch on my quilts. If it involves threading a needle, so be it. Our quilts will probably outlast us by a hundred years. Long after we’re gone, our ancestors will still enjoy the beauty and love that went into the quilts that were handed down to them. They won’t notice or care if the quilts were made with shortcuts. 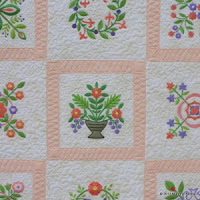 But they will appreciate that we enjoyed the process of quilting enough to make these lovely heirloom pieces. 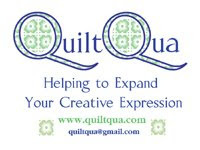 I pledge to put more time and love into my quilts…..will you? Well, knowing Sheila for the past few years, I have to say I was very surprised to read this post she submitted. Sheila routinely brings anywhere from 2-4 and sometimes more quilts to our guild meetings for show and tell. I've always had the idea that quilting should be a process, not necessarily quick....but a process to be enjoyed. I'm not saying Sheils isn't capable of slowing down....LOL....I'm just looking forward to seeing what that means to her....giggles. She may feel empty handed without all those quilts for show and tell. I hope all of you had fun and learned as much as I did, if not more, from the IHAN® Embroidery Blog Hop sponsored by Anita Goodesign. One of the repetitive comments that I heard from all the participants of this blog hop was, how pleased they were with the well written instructions that are included in the Anita Goodesign collections. The illustrations made it possible for me to make this angel without any troubles at all. If you want excellence in your embroidery designs, I highly recommend the designs offered by Anita Goodesigns available at IHAN® . There were so many highlights to this blog hop. I'll start at the beginning, just in case you missed some of them. 1. SewCalGal gave lots of excellent ME (machine embroidery) tips on day 1. She has so much more experience than I do and I always learn things from her. On day 5, SewCalGal offered more tips on using desgins and showed us the beautiful kitchen towels she made using Rachel's Recipes. 4. Marjorie gave me re-newed hope that I too would one day own a finished Baltimore Album Quilt. I am in love with her quilt and want one for myself. Marjorie is a digitizer and has a great deal of experience so I also recommend you checking out her designs HERE. 5. Margaret, the not so average quilter, just blew my socks off with the Anita Goodesign Roosters. Not only was I absolutely in love with the dish towels she had made, but I was bowled over by the wall hanging she made. 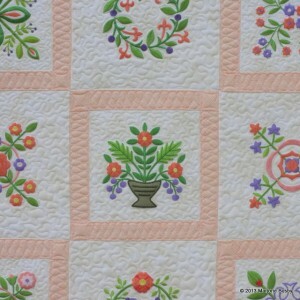 How can she call her blog, "The Average Quilter"....I just don't get that at all. I vote we but a circle with a line through it over the word "Average" in her blog title. 7. Naturally Gene Black an Alabama Artist and Quilter, gave another wonderful review and included tips I would have never thought of....I guess it is his artistic brain that offers such flexibility and interesting ideas. Gene used Asian Quilt design to make a beautiful wall hanging for his cubicle at work. Please send me an e-mail with your full name, address and phone number along with the Special Edition Design Collection you would like from Anita Goodesign. 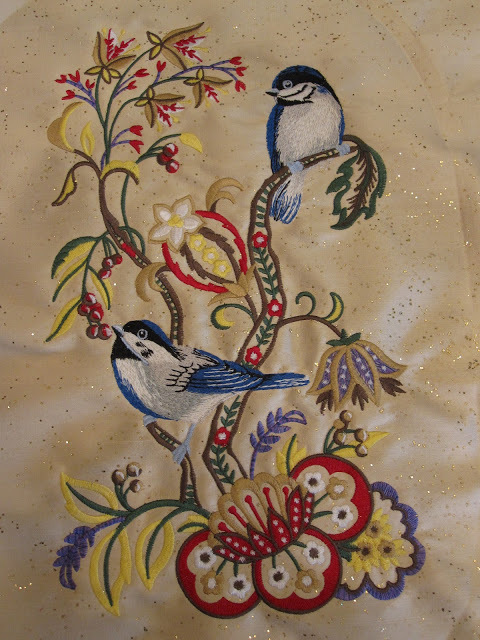 Another huge THANK YOU to Anita Goodesign for sponsoring this Machine Embroidery Blog Hop! 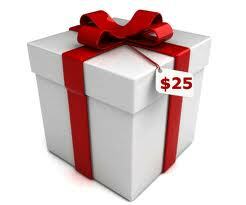 AND Then there was the $25.00 Gift Certificate to IHAN® for those who shared the news about the blog hop. The winner is: Congratulations Quiltin Cntrygrl!!! Getting a hug and kiss from my Mom as I left the hospital on Friday to come home. Getting back to my family in Ohio!!! Rick's parents came and helped with the boys for 10 or so days. When I got home, not only were my boys well....but my house was clean and all the laundry was done and put away. Even my fridge had been cleaned out.....talk about Pleasures and Joys....you know I was absolutely thrilled and grateful. Oh wait, that's right....I did have one stop to make before arriving home.....I had to see Waldo. She had to have her gallbladder removed and had been very ill this last week while I was gone. Then home to Mr. McSteamy and the co-workers. Yes, this is one of my co-workers....ya just never know what you're going to see around here. The sun was shining today....the simple pleasure of having the sun in my face and fresh air after being indoors for the past week....ahhhhh. ... a trip around the neighborhood on roller-blades....what a gift! Yes, my very own machine embroidered roll of toilet paper!!!! ROFL That's what the ME demo was...can you believe that? PS....I have not selected a winner yet for the IHAN® Machine Embroidery Hop sponsored by Anita Goodesign. If you have not stopped to leave a comment, I suggest you high-tail it over there and leave a comment so you can have a chance to win a Special Edition Design Collection from Anita Goodesign. Enviornmate Brio & Pronto by Reliable to the Rescue! Spending over 21 days in a hospital room 24/7 is not all that much fun, so we make our own fun. I have danced to Michael Jackson on top of a chair (chair surfing) and put on Depends (adult diapers) and flashed my mother to get her to laugh....what ever it takes to keep us going! 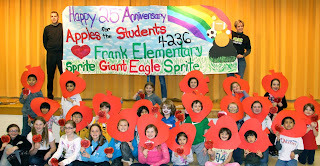 One of my main concerns, other than keeping our spirits up, was germs. I'm not a germaphobe, but I do know that many people who go to the hospital end up with more health problems due to hospital acquired illnesses. You know the IHAN® clan wants nothing to do with those nasty things.....so I brought my EnviroMate Brio to the hospital with me. I also brought my Pronto Hand Held Steamer by Reliable and used it for re-freshening after the initial total steam clean. The Brio comes with a 21 piece accessory kit so there are plenty of attachments for all types of surfaces. The attachments are incredible....no kidding. I don't think there is anything you can't clean with all the different attachments. Lets just say I haven't found anything I wanted to steam clean that I couldn't. There are just so many surfaces in a hospital room that can potentially hold germs and viruses that I wanted to clean everything. I started with the bed. I know they wipe them down after someone leaves, but somehow I felt much better about my mother laying in the bed after I had steam cleaned it. I even cleaned the metal frame below the air mattress. The bedside commode was only rinsed and wiped out (I watched). The frame and handles were not wiped. That certainly was not clean enough for me. I steam cleaned all surfaces and the frame of the commode with the Brio Steam Cleaner. There was no way I was going to have my already very ill mother get even sicker! Will you just look at all the steam this baby produces....there was no way a germ would survive that sort of steam! When I first depressed the steam button on the handle, some water came out as the steam was building up so I held it over a bucket before I started steam cleaning to let the few drips hit the bucket. I was working like the Energizer Bunny! The Brio cleans and sanitizes upholstery, curtains, bedding (for the pets too), yucky stuck on things inside and outside the fridge, oven, and windows. Ask me how I know! I even steamed the stuffed animals that the grandchildren gave her....I need to remember to do that to the stuffies my co-workers have when I get home. A clean and safe hospital room gave us all some peace of mind! When I wanted to freshen up the room, I used my Pronto Hand Held Steamer. I was alone so I didn't have anyone to help with photos....so this is the only one I took of myself using my Pronto. The Pronto is an excellent way to clean and sanitize around the house and it also steams clothes. I've used it to clean the gunk off my bicycle, the wheel's on the van and the grill too. It comes with a 15 piece accessory kit. CLICK HERE to see the accessories. The Brio is lightweight and on wheels making it easy to pull around as I clean. It also has a 360 degree swivel so I don't get tangled up in the hose. I can be clumsy and I hate falling over cords and cleaners so this feature is great for me. (Quit rolling your eyes....I've done that several times with those pull around vacuums.......now quit laughing!!! :) It cleans tile, grout, windows, furniture, curtains, floors and outdoor recreational equipment too. There are NO chemicals, only steam, so it is wonderful for the environment....a big deal for me because I have children. I highly recommend the EnviroMate Brio and the hand held EnviorMate Pronto. I know you'll be happy with your steam cleaner....they are definitely IHAN® approved! Helping out a local school win some equipment by "Liking" this site on Facebook....I'm sure they would appreciate all the "Likes" they can get. It doesn't get any easier to support some kids in getting equipment...no magazines or wrapping paper to purchase! CLICK HERE for the link. Guest Blogger Post- Welcome Judy!